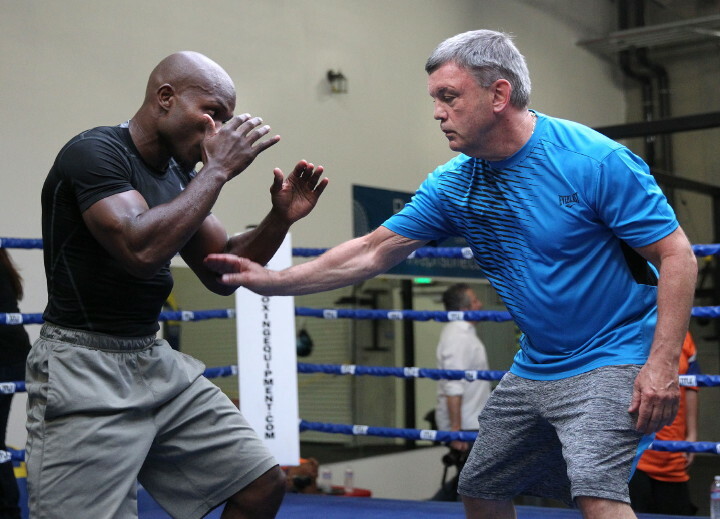 By Gav Duthie: Someone needs to say it and I imagine I’d be waiting around forever if I didn’t do it myself, my post mortem of the career of Tim Bradley 33-2-1 (13) is that he is one of the most underrated and underappreciated fighter in recent memory. His achievements, accolades, skill, bravery, physical and mental toughness will be sorely missed and I just wanted to take the time to pay tribute to a boxing legend and hopefully future Hall of Famer. Bradley joined the bandwagon of retirees this week hot on the heels of Wladimir Klitschko and Juan Manuel Marquez. I am huge fans of both those fighters probably more so than ‘Desert Storm’ but I felt most compelled to write about Bradley because he deserves the same respect as the other two. There are so many reasons. Only he and Floyd Mayweather Jr. can boast defeating both Juan Manuel Marquez and Manny Pacquiao. He is a unified and two weight world champion. He defeated 11 world champs in total and took the undefeated records from 4 different fighters. He took on all comers and had some great fights, his war with Ruslan Provodnikov undoubtedly one of the best of all time. He only lost to one man, Manny Pacquiao and he could mix styles to suit unique occasions. He had a great chin, was very respectful to opponents and unlike so many chose to step away from the sport with his faculties intact as he only turns 34 this month. The only time I’ve ever seen anyone passionate about Tim Bradley was when he defeated Manny Pacquiao but for all the wrong reasons. He received death threats for nothing other than doing his job because the decision was so controversial. He lost the fight, let’s get that right out of the way, everyone knows Pacquiao should have won but Bradley trained hard, fought a good fight, rallied strong in the late rounds and the decision was not his but that of the judges. He kept going, it reminded of Tito Trinidad rallying against De La Hoya and getting a controversial decision. All a fighter can do is his best as can the judges. Another reason was that he also didn’t have huge power, just 13 knockouts which perhaps unfairly labelled him as unexciting but he could dig in like he did against Devon Alexander and Ruslan Provodnikov. Bradley stated recently that possibly his only regret was not fighting Floyd Mayweather. What annoys me is that I can’t even remember anyone even asking for the fight. I would love to have seen it from a technical point of view. Mayweather often refused to refer to Bradley by name, perhaps being a Bob Arum fighter but even when Bradley defeated Pacquiao very few talked up a fight between him and Mayweather, two undefeated American fighters. Others may be better at explaining why this fight wasn’t marketable because I don’t understand it personally. Barring not fighting Mayweather he faced the best and beat the best. The only other fight I would have liked at one point was Amir Khan at 140lbs. He would have likely won that also. I hope that there are many others who enjoyed watching Bradley as much as I did. I know that his fight with Provodnikov is one that I will gladly watch time and time again as the years go by. Thank you, Tim Bradley and good luck, with your next career.